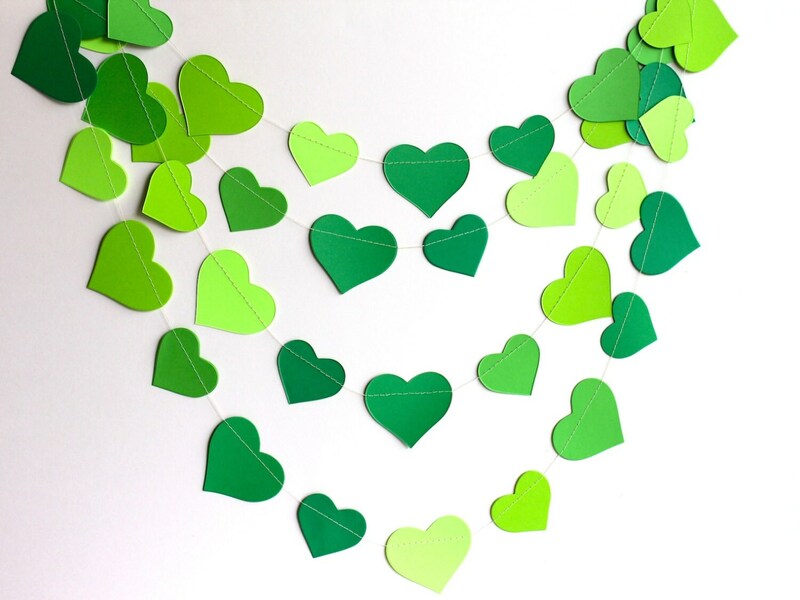 St Patricks day decor, Green St Paddys banner, Green heart garland, green ombre birthday party decoration, St Patricks day garland, green hearts banner, nursery decor, bridal shower decor, Photo prop and for everyday awesomeness. You can hang this paper heart garland on any wall, across your Windows or Doorway, bedroom walls, above work table , play area etc. It is handmade by me using paper and string. The paper hearts are handcut and are a single layer and sewn together with thread. It is lightweight, so you can hang it on a wall using sticky tape.